M Performance models have been around for longer than some people care to admit. They initially showed up in the 1980s with cars like the BMW M635i but back then nobody really knew them as M Performance cars because not even the M brand was developed properly. As a matter of fact, the first M5 ever made was actually the E12 M535i, yet another M Performance model if you will. Today things have changed and BMW is pushing M Performance cars more than ever, even adding them up to the overall sales figures for the BMW M GmbH division. The growing attention M Performance cars get these days is wholeheartedly deserved too. They are aiming at filling a gap in the BMW line-up between ‘regular’ cars and the fully-blown M models or, as the creator of the M brand, Jochen Neerpasch put it: the real BMWs. Well, while I personally agree with Mr. Neerpasch’s take on what constitutes a real BMW, I also have to admit that they might be too much for some people these days. Keeping up with the industry isn’t an easy thing to do, especially when your customers simply ask for you to challenge everyone in this ‘horsepower war’ we’re hearing about these days. Truth be told, BMW M cars have never been the most powerful among their competitors but traditionally they have been the most able track tools when put in worthy hands. 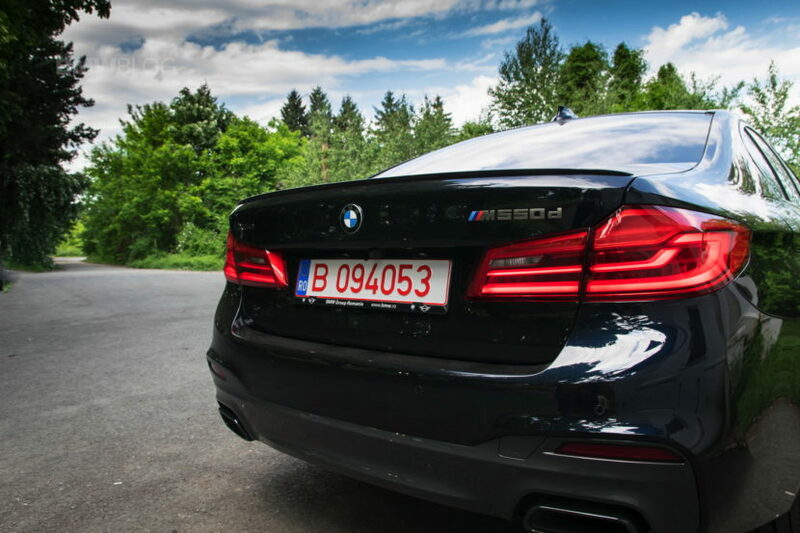 The recipe remains true to this day with the M4 being fast more agile on the track than the C63 AMG, for example, while lagging behind when it comes to sheer power. However, the M4 is a beast and quite hard to control by an unexperienced driver. The rear-wheel drive setup and the sudden burst of torque coming from the twin-turbo engine under the hood make it a real handful when you want to push it hard. 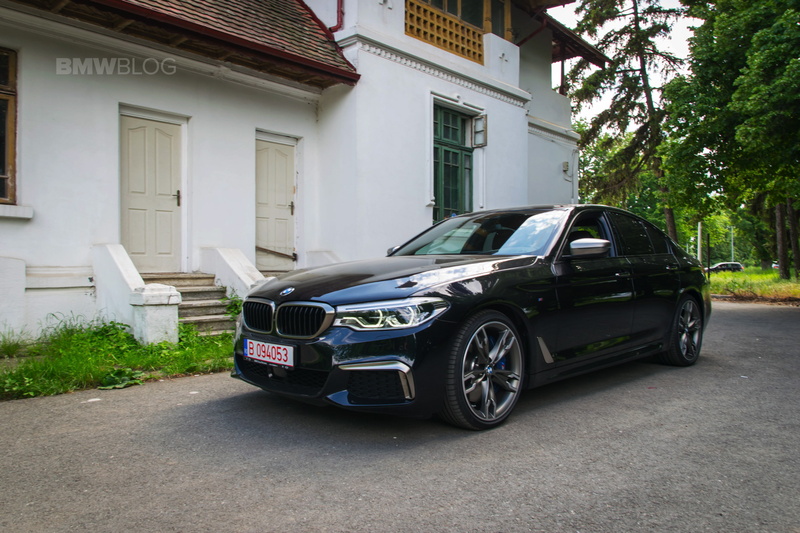 The old F10 M5 had the same issues while the new one solves some of them by adding all-wheel drive to the mix and upping the horsepower figure. The new M5 with its 600 HP is surely quite terrifying to drive nonetheless if you don’t know what you’re doing. The reason I’m highlighting all this is to somehow justify and explain where M Performance models fit in. Sure, the M2 is the car everyone wants but the M240i, especially with xDrive, can be faster in a straight line, and provides plenty of enjoyment even on the track, if someone plans to drive it there. For most people, an M Performance model will bring plenty of performance to the table, without actually scaring them from getting behind the wheel. As you might’ve noticed, I only referred to petrol-powered cars so far because they are the ones everyone wants when it comes to track days. But when it comes to modern-day M Performance cars, the story truly kicked off with a diesel model. It was the F10 M550d xDrive that came first, along with its X5 and X6 brothers using the same tri-turbo diesel engine in M50d guises back in 2012. Later that year, the M135i also came along, to offer a petrol alternative but it is to be noted that the new chapter in the history of M Performance models started with a diesel engine. This went to prove that BMW was dedicated to compression-ignition mills even back then and it is still doing so today. 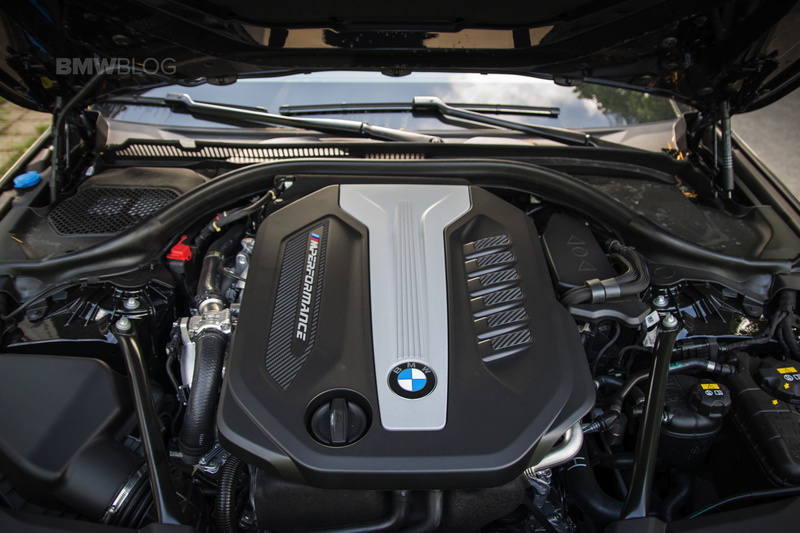 The F10 M550d xDrive used the N57S 3-liter straight six diesel mill force-fed by a system of three turbochargers which made it the most powerful 3-liter diesel engine ever fitted in a production car for a while. The forced induction system made use of an intelligent layout to make sure the driving experience raised to the expectations one would have from an ‘M Performance’ model. Basically, the engineers fitted the car with two small turbochargers which would spool up really fast and a bigger one that would take over afterwards, further increasing the grunt going to the four corners of the car. That’s right, all cars came with xDrive and that was basically needed considering the numbers the engine put out: 381 PS and 740 Nm of torque. 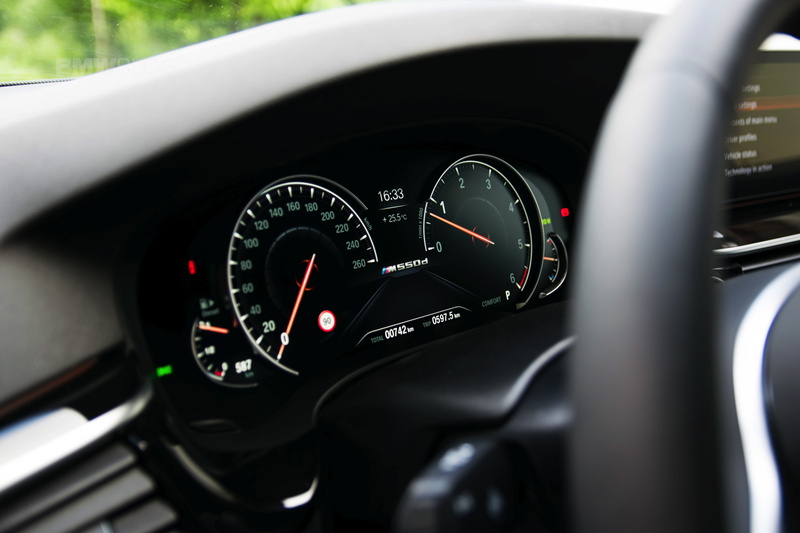 At the same time, the original M550d xDrive came with a couple of differentiating features from the ‘normal’ 5 Series cars fitted with the M Sport package. The front bumper’s side air intakes had Ferric Grey accents while the side mirror covers used a similar color tone. There were also special wheels added to the mix and trapezoidal exhaust tips. 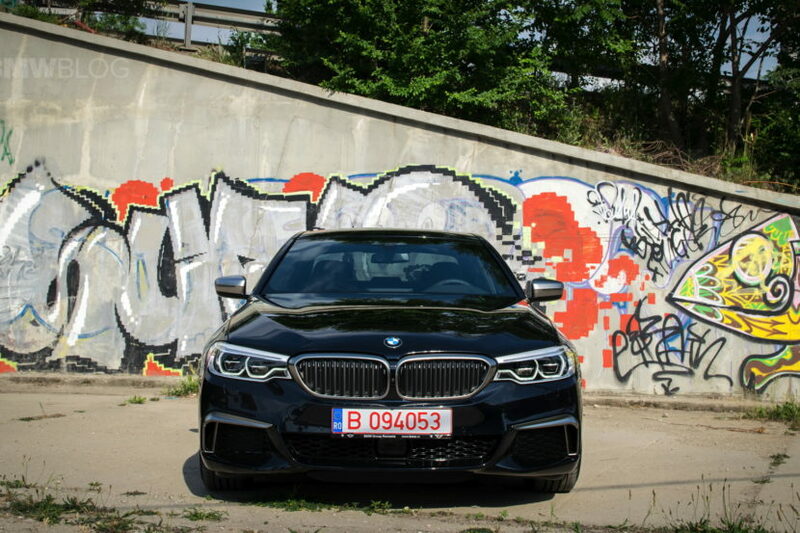 The story remained the same with the new iteration of the M550d xDrive. 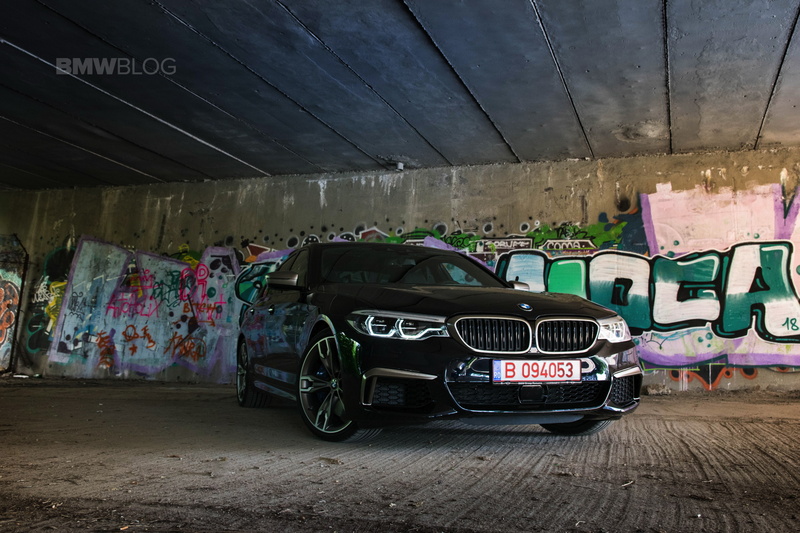 The G30 generation uses the same tricks to set itself apart from the rest of the M Sport 5 Series models out there. Look carefully and you’ll even notice an extra intercooler behind one of the air intakes up front. The right side one is blocked and makes those with even mild cases of OCD have a small seizure when they notice the asymmetry. Nevertheless, move your eyes to the side and those beautiful 20” Type 668 wheels and you might forget all about that. They do make this thing stand out in the crowd but it truly is a shame BMW is delivering the car with runflat tires. A car with this much torque should be using proper tires to further improve its handling. Speaking of torque, the new G30 M550d xDrive does come with a new engine under the hood as well, not just different looks. It was first installed under the hood of the BMW 750d and you might remember it had a rather particular feature shared with one of the most expensive cars in the world and one of the fastest at the same time. 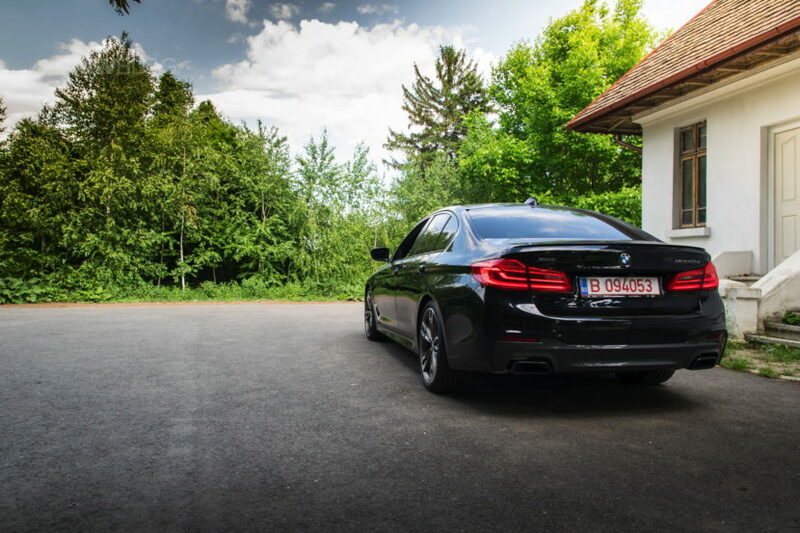 When the 750d was launched, the automotive world realized that this is the second production car in the world right now that uses a quad-turbo setup. That’s right, the M550d uses a 3-liter straight six diesel engine with four turbochargers attached to it, kind-of similar to the approach Bugatti used when developing the Chiron. Of course, the two can’t be compared normally but when it comes to the engines, they are the only cars in production today using four turbochargers so you could call the M550d the ‘people’s choice’ or the ‘more affordable car’ even though it’s not exactly cheap either. 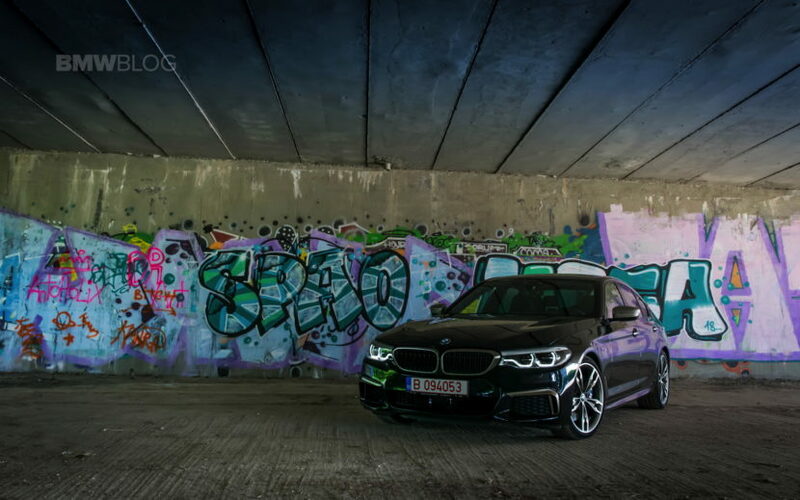 Compared to the asking price of a Bugatti it will seem like a steal but with our tester’s price tag reaching the eye-watering value of 112,178 Euros, that’s pretty damn close to what you would spend an M5, making this a hard choice. I know for some people the comparison doesn’t hold a candle but with the M5 starting at 117,900 Euros in Europe, chances are a properly configured on will reach closer to 140,000 which still puts some leeway in between it and a nearly fully-optioned M550d which starts at just over 87,000 Euros. Getting back to the weapon at hand here, the quad-turbo diesel engine does bring some improvements over the tri-turbo version the old car had. In terms of sheer output increase, one wouldn’t be completely blown away, as the new B57S engine makes 400 PS and 760 Nm of torque, an increase of 19 horses and just 20 Nm of torque. Nevertheless, the way it is set up, makes it feel like a different animal. Unlike the N57S, the B57S uses the four turbochargers not only to increase power but also to deliver it better and make the engine more responsive. Whereas the old mill used two small turbos and a large one, the new one uses two sets made up of a small turbo and a larger one. That’s been done to improve throttle response and you can feel it working. At 1,000 RPM you are already enjoying 450 Nm of torque and that’s basically what a 3-liter straight six petrol engine from BMW makes at most. By the time you reach 2,000 RPM you have the full torque figure at your disposal, 760 Nm of twist going to the wheels. That’s kept up to 3,000 RPM and the full horsepower figure of 400 PS is reached at 4,400 RPM. That should paint a picture of how it feels to drive this thing, especially in Sport mode. 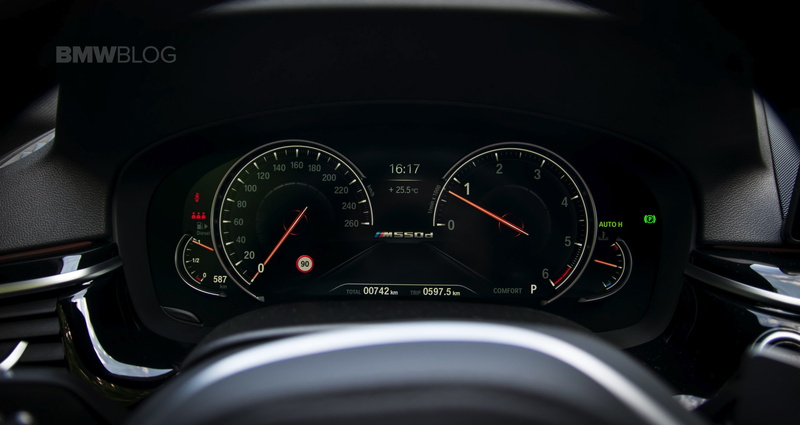 You get a waft of torque hugging you thanks to the brilliant new seats of the G30 5 Series, pushing you forward without showing any sign of hesitation until you hit the top speed limiter. Comparisons to freight trains are only natural as are those with calamities, or anything that inspires sheer power say an avalanche, or an earthquake. Launching the car will get you from zero to 62 mph in just 4.4 seconds but it feels considerably faster if you judge it by ‘the seat of the pants’ meter. However, to put things into perspective, I also have to point out that’s on par with the F10 M5 and it comes down mostly to the drama-free launch brought on by the presence of the xDrive all-wheel drive system. 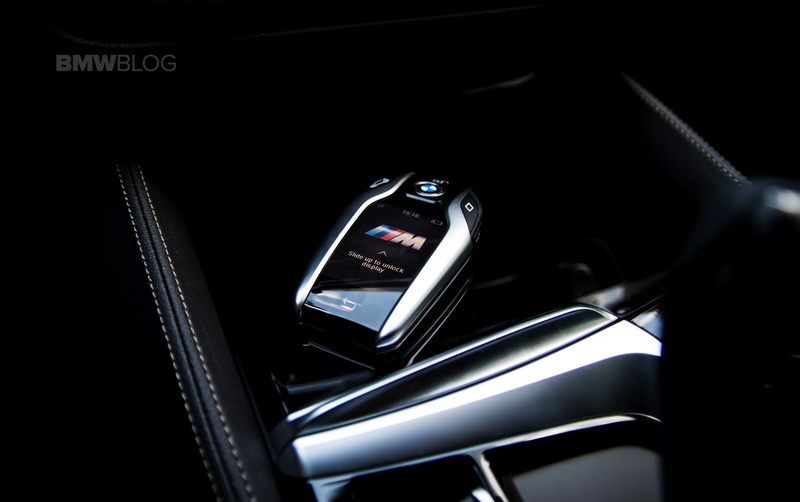 Also, BMW configured the transmission to be extra brutal on M Performance models when entering Sport mode. The kicks you get in the back of your head after launching the M550d are nice but they do feel a bit artificial, at least to me. It’s not that I didn’t enjoy them, but they don’t feel natural, just like the sound you get to hear inside the cabin thanks to the Active Sound Design system. That’s probably the worst thing I have to say about the M550d xDrive but it’s something nobody can really do anything about: the exhaust sound. This is a diesel after all and from the outside you don’t get to hear a lot, even when pushing the car hard. Some manufacturers tried to solve that issue by using different tricks. For example, Audi inserted real speakers in the exhaust to emulate a different soundtrack and while it worked for some, it felt like outright cheating to others. 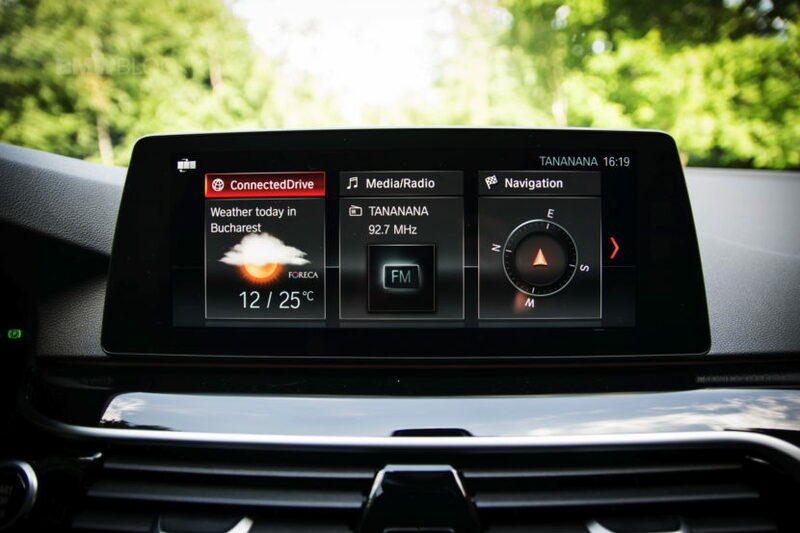 BMW didn’t do such a thing for those enjoying the car from the outside and focused more on those inside, who do get to listen to an enticing soundtrack but one that doesn’t really match the car. Since BMW decided to simply be honest about the sound the B57S engine makes, I can’t really fault them for it, but it would’ve been nice if the performance of this beast was accompanied by an enticing sound on the outside as well. In terms of driving enjoyment, this is one of the best diesel cars you can drive today. 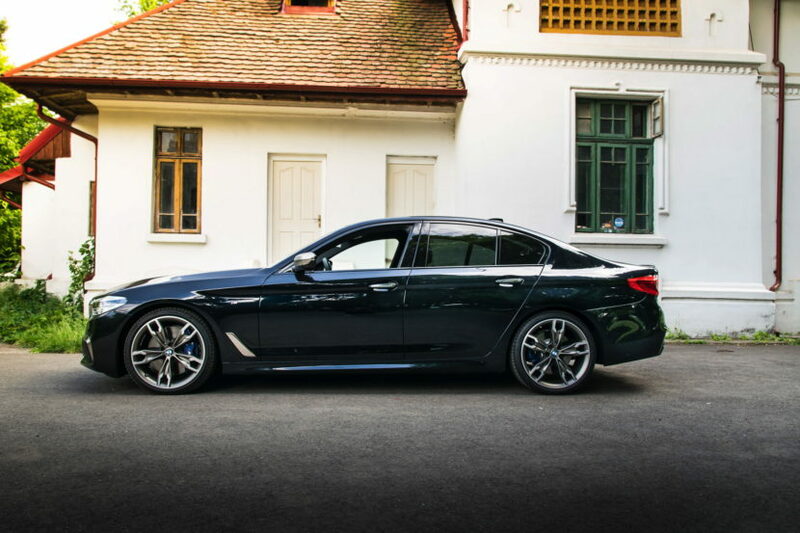 The low center of gravity and lower weight compared to the F10 M550d, make the G30 version a better all-rounder. Push the car hard and it will start to lean into corners but it is surprisingly agile for its size. Tipping the scale at 1,920 kg (4,232 lbs) it’s definitely not light on its feet but it certainly doesn’t feel that bulky. The adaptive air suspension works wonders while the integral active steering makes sure you corner like you’re on rails, making this 5-meter long limousine feel a lot more compact. Around town you get to enjoy its size without any headaches and that’s probably where the Active Integral Steering shows why it’s worth the money as it will allow you to navigate narrow roads easily. That’s especially handy in Europe where roads aren’t nearly as wide as they are in the US and you definitely shouldn’t get me started on the tight parking spots. One thing you do have to mind though is the ground clearance as the M550d xDrive sits lower than its ‘regular’ 5 Series brothers but that won’t be a terrible headache either. 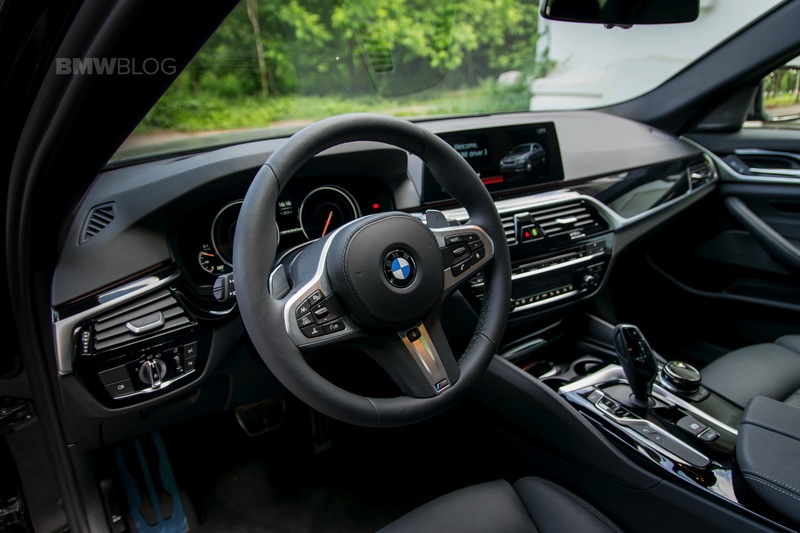 Turn the dial to the Comfort mode and you’ll be enjoying urban traffic wafting along in seemingly endless torque, knowing that at the touch of a button you can enter Sport mode and demolish 90 percent of the cars around you. The duality of this car proves that M Performance cars truly are enough for your daily needs of speed and comfort. The real rivals the M550d xDrive has to face come, weirdly enough, from BMW’s stable. Yes, considering the price tag our tester had, I’d consider the M5 a potential alternative, even if one would have to restrain from adding any optional features on it. Then again, the real rival the M550d has to face is the M550i. The petrol-powered, 465 PS V8 under the hood of the M550i provides a beautiful soundtrack to the mix and makes the car 0.4 seconds faster in a straight line than the M550d. Considering they are comparatively priced, one would have to weight the options on the table quite carefully. But the M550d strikes back with something the M550i can’t possibly match: range. Being a diesel-powered car, it will cover 600 miles on a tank easily, if we’re talking about highway cruising. During our time with the press vehicle, we saw a fuel consumption of 5.6 l/100 km (42 mpg) outside the city limits, with an average speed of around 60 mph. That’s something you can’t possibly dream of with an M550i and it’s a similar story if we’re talking about the fuel consumption recorded around town. I know some people might say that fueling up will not be a problem for someone who can afford to pay in excess of 100,000 Euros for a car but range does matter even for those people as getting stranded in the middle of nowhere is not an appealing suggestion to anyone. Then again, one must ponder whether range or the soundtrack of a V8 petrol engine is more important and to that, we can’t offer a definitive answer as it comes down to personal preference. Nevertheless, the experience we had behind the wheel of the M550d xDrive proved that this level of performance should quench the thirst of most car aficionados and what we end up with is a perfectly balanced car which will go easy on your wallet while also providing plenty of adrenaline shots to the heart. 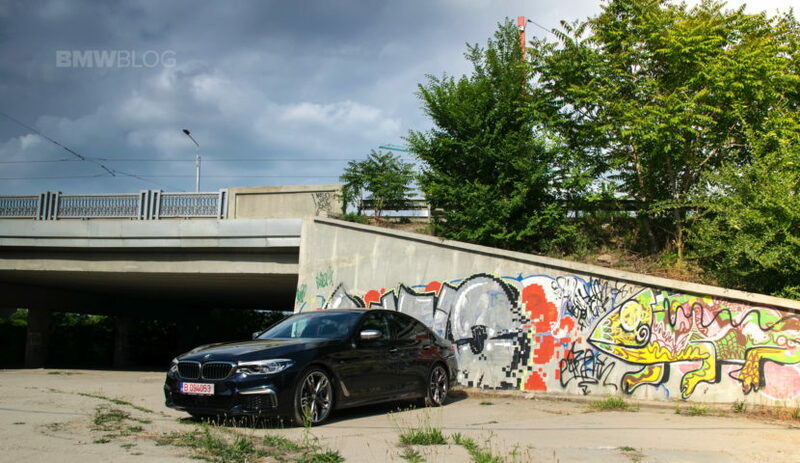 The experience we had behind the wheel of the M550d xDrive proved that this level of performance should quench the thirst of most car aficionados and what we end up with is a perfectly balanced car which will go easy on your wallet while also provide plenty of adrenaline shots to the heart.